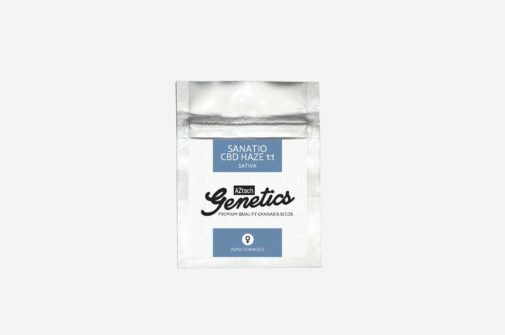 Sanatio CBD Haze 1:1 Auto is a sativa dominant auto flowering variety with a balanced amount of thc to cbd. 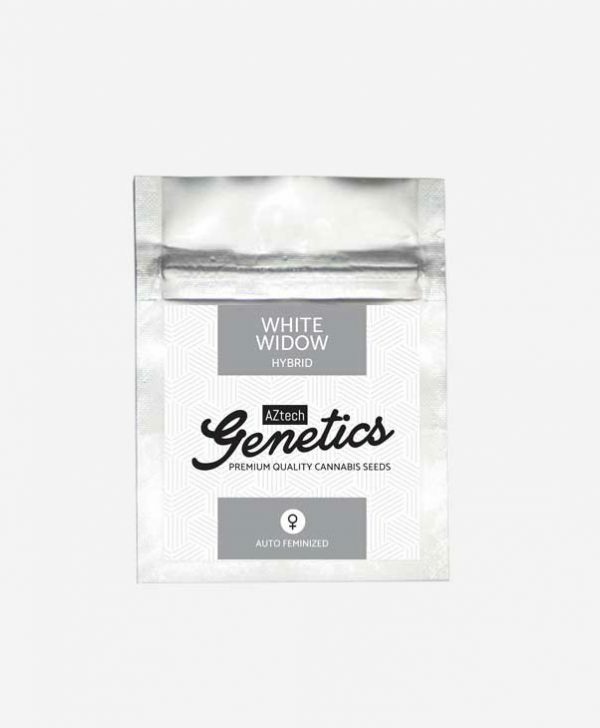 This strain has been developed with a medical consumer in mind with 1:1 thc to cbd ratio. Plants typically finish in around 11-12 weeks from seed however given plenty of root and grow space can go longer. This variety is suited to both indoor and outdoor growing. This auto strain has a much lower thc content then the rest of our selection at around 10% but has the same amount of cbd present too. This is a much sought after ratio of thc to cbd for medical use and this variety has been produced with those needs in mind. Well suited to low stress techniques this variety also does well in Scrog set ups . 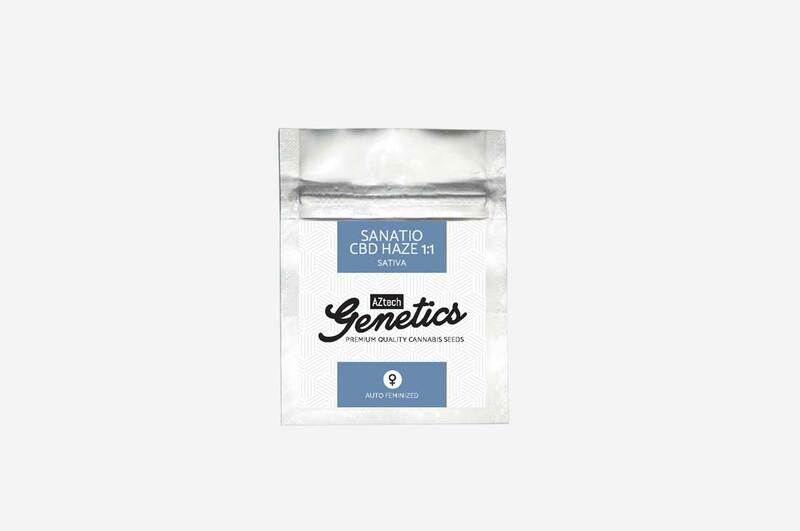 Due to this strain being more suited to medical use Aztech Genetics are donating 100% of the profits from the sales of Sanatio CBD Haze 1:1 Auto to help UK medical cannabis causes. At the end of each year we will select our chosen UK medical cannabis cause and will be passing on all the profits from both the auto and non auto variety of this strain.